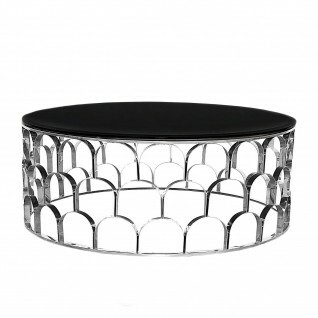 Martini silver elegant end table is the ideal small piece to compliment the main coffee table and end table. The “C” shaped structure allows the Martini table to slide under the sofa and the top to go over the arm for a convenient surface for your drink. 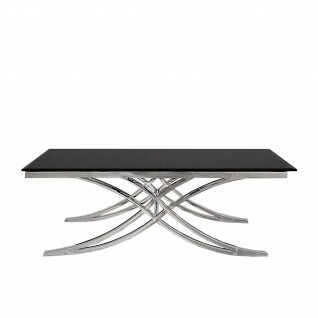 The Martini features a polished silver stainless steel frame with a black glass top and a black marble on the base for added stability and look. 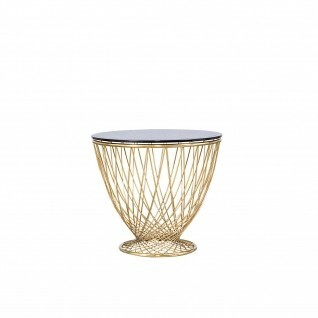 Width: 14" | Depth: 16" | Height: 26"
Torcere Luxury Round End Table has a 12mm tempered black glass top and a gold polished stainless-steel base. 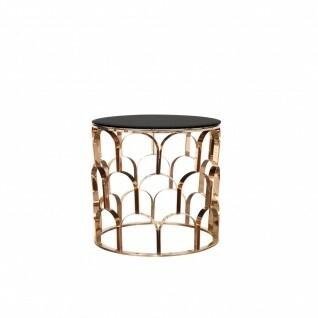 Sequenza Luxury Round End Table features a black 12mm beveled black glass top with rose gold polished stainless-steel base.